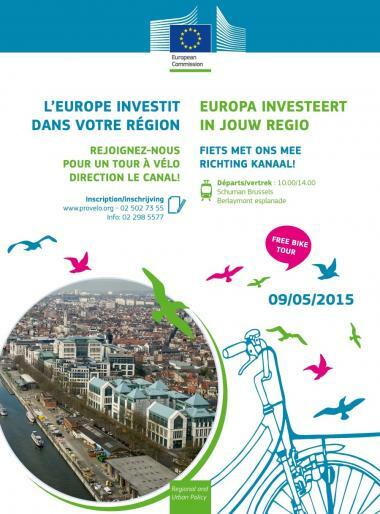 2015-04-10 – A guided cycle tour from Berlaymont to the Canal will be organised by European Commission’s DG REGIO on 9 May. Like last year, the idea is to demonstrate that ‘Europeis investing in your Region’. The tour is being arranged in connection with the European Institutions’ Open Doors Days. All along the Canal, important urban projects such as Abattoir, Coop/Port Sud and Greenbizz are dramatically changing the cityscape. You will discover living and diverse neighbourhoods that have benefited from significant investment from the European Regional Development Fund (ERDF).